FormLogix uses a very simple, clean interface and widgets to give value to their product. The coolest thing is you can create forms without any layout restrictions, but otherwise feels limited in its features for the price. If you are a beginner, FormLogix will allow you to feel like a pro. Enjoy the handy drag-and-drop tool to drop in cells, images, text and columns into your new form! If you are looking for a free plan, they offer a limited free option that fails to provide a number of elements and features. Leaving that aside, it’s a good idea to start with before you upgrade to a fully-featured package. Want to know if FormLogix is right for you? FormLogix offers a number of basic forms in the template section of the site, focused on varied themes, such as, for example, dog sitter, RSVP forms, family events and small businesses.You can tweak the templates conveniently. And you have total control of the page layout. 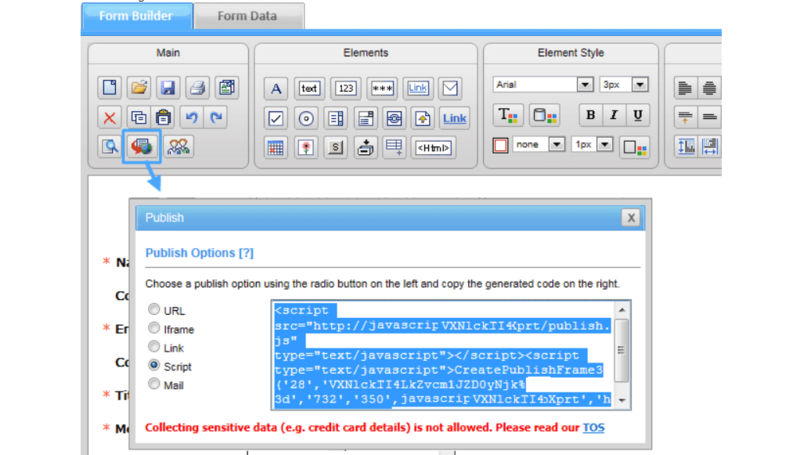 You may also create a free web form based on a template. There are some free web templates to view and use, as well as more specific ones available on the free web template search engine. You can customize the various forms and fields, however, the number of fields for the Free plan are limited. All FormLogix plans offer unlimited form submissions. There are a decent number of features and widgets for the paid versions. FormLogix is user-friendly and fun to use, particularly for small businesses or users, who are just starting out. It is possible to utilize their tools to create forms and even entire stores. Its Launch Pad feature allows you to drag-and-drop eCommerce site creations. Its form builder is based on a minimalist approach; it only shows you the essential features and tools required. However, if you want more sophisticated options, you can switch from basic to more advanced modes. The drag-and-drop tool is always ready to use and comes handy to a novice. It allows you to implement images, forms, fields and whatever else you want to integrate into the form. It’s the easiest way to create effective forms. FormLogix offers 24/7 Premium Support and tickets. Otherwise, the alternative is to access their help center. The latter provides information on form creation, data management and user information.Their tutorials lead the user on a step-by-step tour to complete the process, from the form builder to data management, to embedding forms, adding images, filtering data and changing list items. There are a number of useful tutorials on offer that pretty much cover all aspects of form creation and data management. 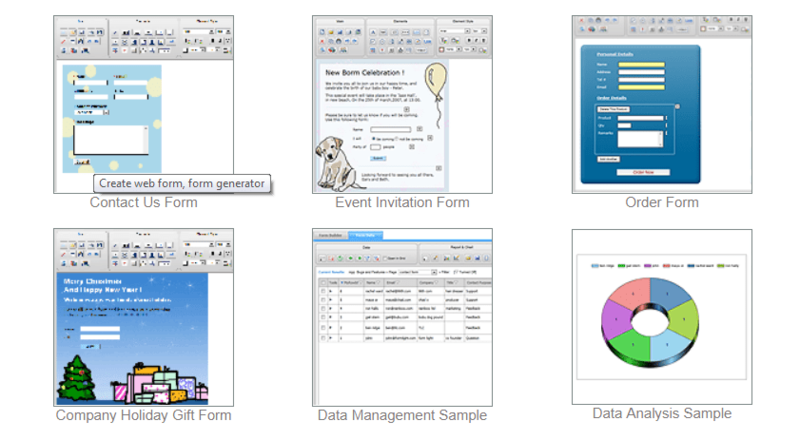 FormLogix offers free Widgets, catering to people who need simple and straightforward forms. Their prices are competitive on the market and include other builders and eCommerce. Following a free 7-day-trial period on the Starter plan, you need to upgrade to the paid plan of your choice. FormLogix is an ambitious operation that – while not free – offers decent features for its price. The free widgets are so basic, you might as well go somewhere else for more functionality. Its best feature is that you are not limited to the standard boring form layout you can put elements anywhere on the page. 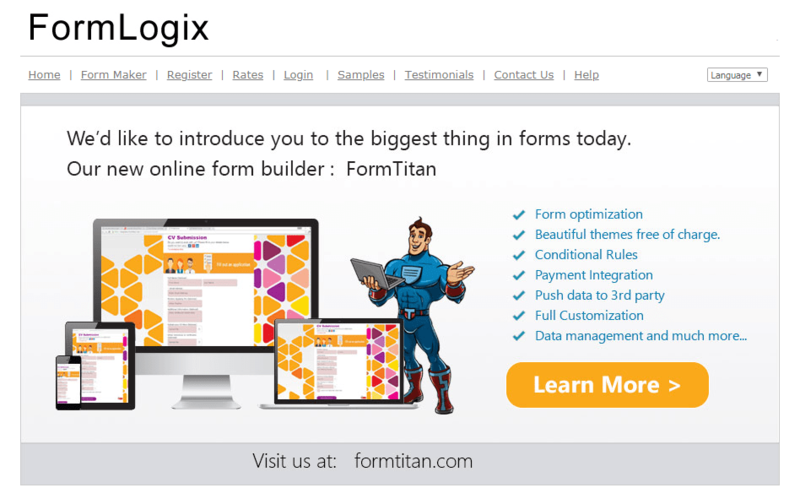 Click here to try FormLogix.